Want a way to spend a fun afternoon with family or friends? Our Family Barefoot Bowls has something for everyone. 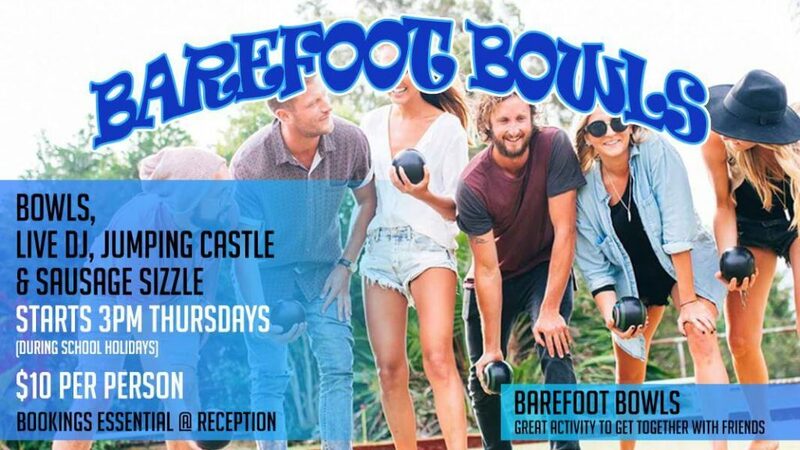 Barefoot Bowls is on for just one session this School Holidays! Bookings are required. Book at Club Reception on 65 666252…It’ll be an afternoon the family will love!